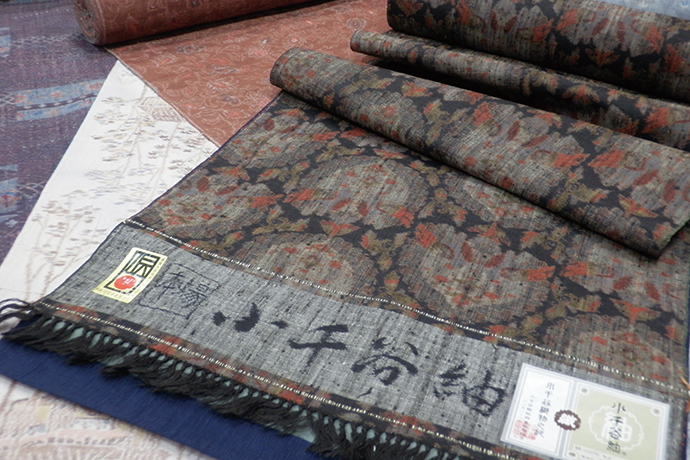 Ojiya-chijimi, originated from, Echigo-asafu(hemp cloth), is distinctive and a long practiced craft in this region. Ojiya-chijimi has been officially recognized as ‘Important Intangible Cultural Heritage’ by The Minister of Education, Culture, Sports, Science and Technology since 1955, and has also been listed as UNESCO Intangible Cultural Heritage in 2009. You may see the woven cloth rolled out in the bed of snow for making the pattern become more alive. They invented a method to create a crepe-like surface in the finishing process, which makes the garment cool in summer. Nowadays, they have new product lines such as shirts and beddings. Ojiya-tsumugi uses Ojiya-chijimi technique. 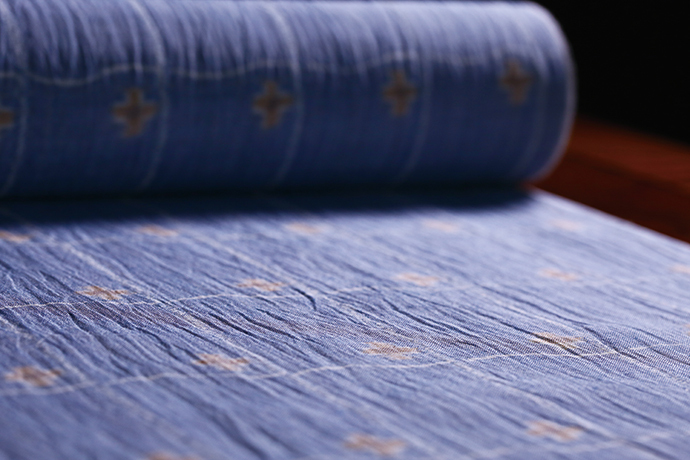 It has a texture and luster particular to silk. You can enjoy viewing weaving and experience simple plane weaving on a loom at the center below.